Creating a blog post is more than putting “ink to paper”. A blog will rise and fall according to the readers’ perception of your knowledge and credibility. 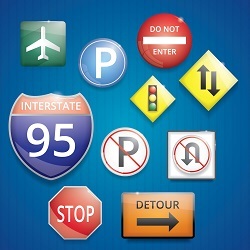 Protect yourself by avoiding these blogging pitfalls. Information – Not Sales – The best blog posts are the ones the reader learns from. The worst blogs are those that filled with sales pitches and links to “buy my product”. When readers feel the only thing they’re getting from a post is a sales pitch, they will click away and never return. Length Matters – Blog posts should be no less than 300 words long and no longer than 750 words. The minimum number of 300 words is acceptable to Google. 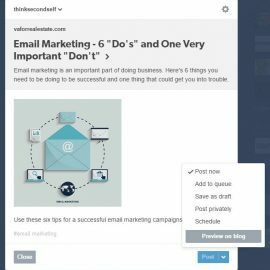 The longer the post is, the more likely the reader will “save it” to read later. Spellcheck and Grammar – Read and reread your posts for spelling and grammar. It’s easy to overlook an error. I’ve been guilty of this until I found a cool little tool called, Grammarly. It’s a free grammar and spell-checker. It’s added to your Chrome browser. Anytime Grammarly finds a misspelled word or incorrectly used grammar, it underlines the error. Put your cursor over the error and a pop-up appears with the correction you need to make. Tell the Truth – Use catchy headlines to capture the reader’s interest. Be careful, however, to state only the facts that you have thoroughly researched. Take the time to do your homework. Incorrect information can lead to the downfall of your credibility. Don’t Copy Your Neighbor’s Post – We could get away with copying our neighbor’s test answers in school. The classroom we’re appealing to now, though, is a worldwide bigger. It’s okay to quote someone else or acknowledge your resource. It’s not okay to plagiarize. Copyscape is a great tool to check to see if your website content has been copied. 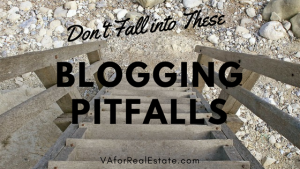 Use these five tips to avoid blogging pitfalls in your posts. Make your posts informative, the right length, with correct spelling and grammar. Check your facts and be careful that none of your content appears copied. 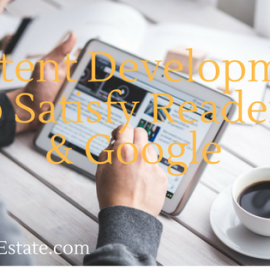 Can Your Content Satisfy Your Readers and Google at the Same Time?